There's a red number 1 on my facebook bar as I open up for the third time that morning. Where did that thought come from? My brain? But I love her work! I joined her group, I always pop on her Live stream chats, I follow people she recommended! But I don't feel that way about her right now. It's been more than a month since she's done a Live stream. She posts the same four posts to her group every week. 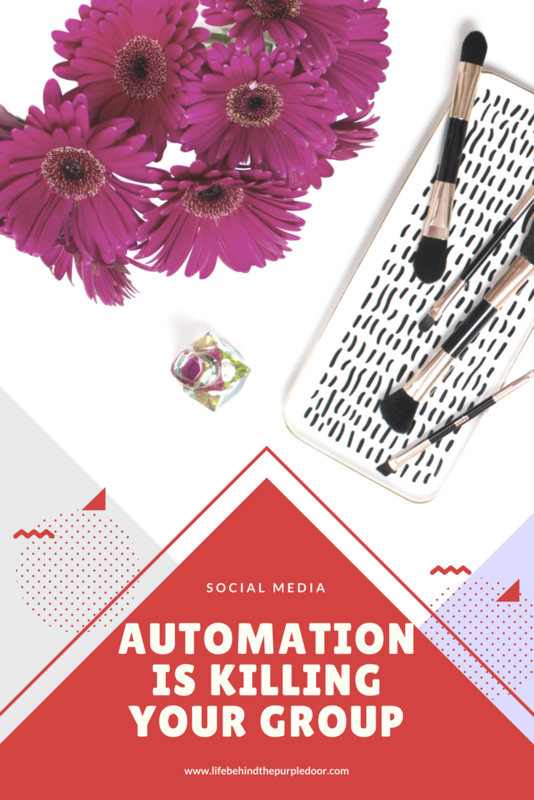 Automation is a game changer for online businesses. It makes it easier to be in front of people at all hours of the day and night, on all social media platforms. We can plan Instagram posts, grow traffic with Pinterest, and appear in people's newsfeed at 2am. But it can kill Facebook groups dead. 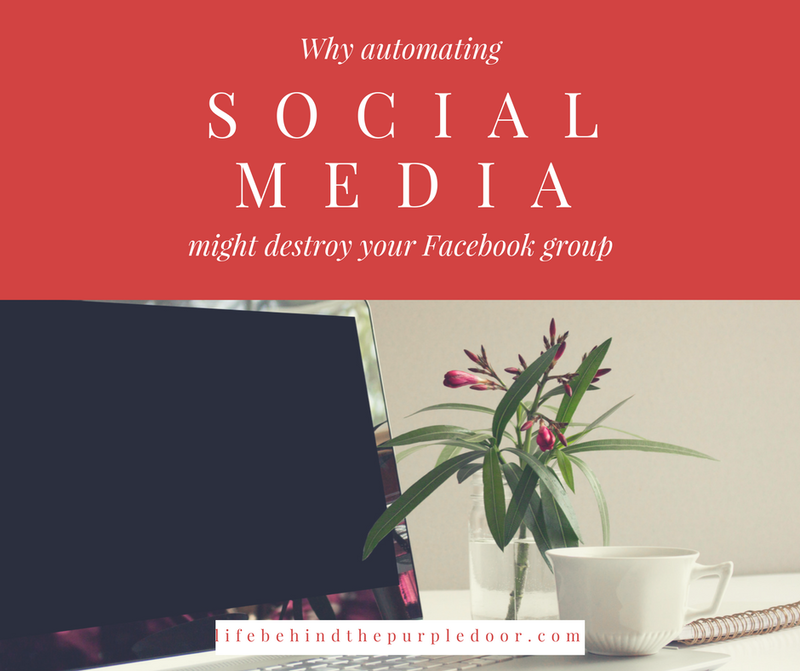 People generally join Facebook groups for one of two reasons - to communicate, or to learn. And the key to both of those things happening in groups is engagement. But engagement doesn't happen if no one is leading the conversation. Remember, people don't join groups to read blog posts, they join to engage with others, by learning or talking. Think about the groups you love to visit regularly. For me, it's Think Creative Collective, and Mums With Hustle. Both of those groups are huge. And active. Both groups also use automation. But they don't rely on it. Both groups have founders who show up, regularly, outside the automation. And teams of admin who keep conversations moving. "But I've only got 100 people in my group!" I hear you say. You can still have an engaged group that people will want to participate in when you have small numbers (or you don't want to spend hours a day in the group) by telling people when you will show up. Content Strategy with Kirsten Thompson of Sweet Tea LLC is a great example of this. She does a Livestream to the group every Tuesday (unless life happens) so encourages people to leave questions during the week. If she's able to, she comments on those posts, but on Livestream day you know she'll actually be live, and answer as many questions as she can. What's your favourite Facebook group?